Under the patronage of HE minister Wael Abou Faour, NOD Lb organized a meeting with media coverage, for the representatives of the main religions in Lebanon, to sign the donation card and confirm the position of all religions on organ donation. 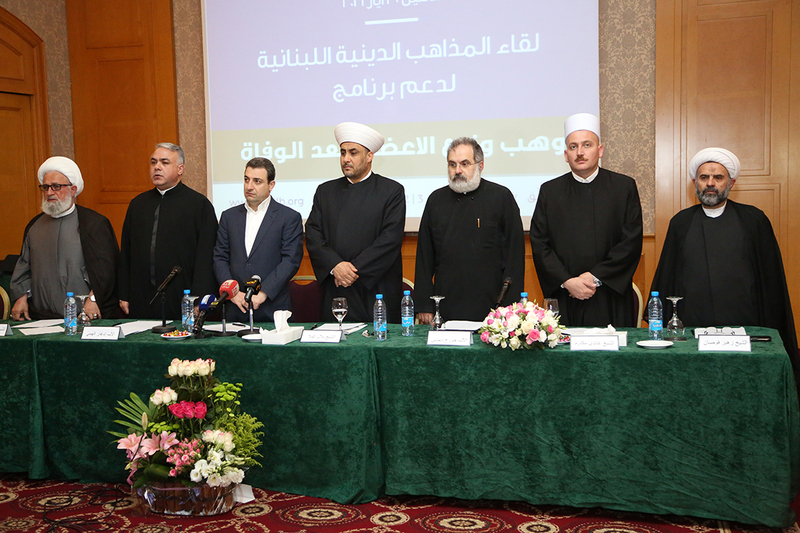 This event was in the presence of HE minister Wael Abou Faour, Father Edgard Al Haiby representing the Catholic church, Sheikh Bilal Moulla representing Dar Al Fatwa, Sheikh Assadallah Al Horshi representing the Shiite Islamic High Council, Father Georges Dimas representing the Orthodox church, Sheikh Ghandi Makarem representing the Druze religion, Allamah Al Sayed Ali Fadlallah, Sheikh Yahya Rafii- who suggested the idea of the meeting, Father Kesheshian representing the Armenian orthodox church, sheikh …… representing the Muslim Clerics Council, Actress Nada Abou Farhat, Actress Bernadette Hodeib, Actor Charbel Ziadeh, Mrs. Maguy Aoun the meeting’s Host, Dr. Antoine Stephan NOD’s vice-president, Dr. Elias Warrak Director of the National Eye Bank and the media coverage. The minister and religious signed the donation card and encouraged people to do the same. During this meeting NOD Lb launched its 3rd national media campaign entitled “SAYITNOW” in the presence of the celebrities who offered their time and talents to do the campaign.